What are the Benefits of Having an MBA in Today’s Employment Market? 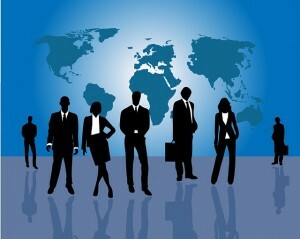 FNUMBA ProgramsWhat are the Benefits of Having an MBA in Today’s Employment Market? Nowadays, it’s commonplace to discuss whether or not a graduate degree is worth it. While this isn’t true about every degree, especially ones that relate to professions that are expected to rapidly expand as the economy evolves, the value of an MBA degree has come under intense scrutiny over the last few years. Since this conversation continues throughout major media outlets, it is reasonable to assume many business professionals are pondering what to do next. Considering the amount of money and time it requires to receive an MBA, choosing to pursue an MBA degree must be a calculated decision. In order to make such a decision, one must fully understand the value of this investment. Let’s take a look at what recent research is saying to get a better analysis of the benefits. According to the Graduate Management Admission Council (GMAC), more than three quarters of employers, or 87%, are planning to maintain or increase hiring for business school graduates in 2014. And while there are many other studies out there that analyze similar metrics, the GMAC tends to be a reliable indicator of the outcomes of an MBA degree as they survey companies who hire MBAs. Coupled with the upswing of the job market since the Great Recession, it is reassuring to hear that interested professionals will be able to find fulfilling work in the specialty of their choice after graduation. Directly correlated to the maintenance or increase of hiring for MBAs is the maintenance or increase in pay. The GMAC cites that not only are 42% of employers keeping MBA salaries stable in 2014, but also more than half, or 56%, of employers intend to increase base salaries for MBA graduates at or above the rate of inflation. So if you are worried about not making the same or a higher salary by the time you graduate from business school, you can be confident that employers are looking to honor your efforts. While most people are concerned about whether or not they will receive a return on their investment, the most valuable feature of a business degree is the connections you make along the way. From your fellow students, to your professors, each and every person you meet has the potential to become a future client or a business partner, bringing you a constant flow of customers and references. This goes back to the old adage that higher education is what you make of it, and that couldn’t be truer in business school. Depending on the school, it is wise to stay connected during the early stages of your post-graduate career as business schools encourage alumni involvement through networking opportunities. To improve the outcomes associated with an MBA, many experts now recommend that prospective students should focus on programs that emphasize management and leadership, along with ones that develop skills for a particular industry, such as healthcare management. This way, you will be distinguishable from those who have merely attained a generalized MBA and can increase the chances of landing a job in the niche of your choice. This notion is exemplified by the fact that professions needing an MBA are projected to grow by 22 percent. Lastly, choosing a program that contains professors who are active in their specialized fields will be beneficial for gaining an understanding of specific markets in real-time. Although many people have found entrepreneurial success without attending business school, an MBA may reduce the length of trial and error involved in running a business. Overall, attending business school will teach you the fundamentals of business, namely finance, marketing, accounting, strategy and business management, through real-world application, helping you recognize your strengths and weakness in order to facilitate personal growth. When we have been out of school for a while, there is a tendency to approach complex problems in the same manner, leading to stagnated thinking. If you feel as though you’ve reached a dead end when it comes to coming up with solutions on the fly, you may need a business school to jumpstart that mindset. Academic settings give you the ability to explore multiple options for problem solving while regaining your creative thinking. Simply having the opportunities to test solutions and learn from your mistakes will prepare you for managing and collaborating with coworkers after graduation. For some of us, it takes years to develop significant confidence in the workplace, particularly when we are just starting out. An MBA program allows you to develop your confidence by giving you the opportunity to lead team projects, obtain feedback on real-time performance in the classroom, and operating or participating in a student club that aligns with your professional interests. While trying new things is riskier in a business environment, an MBA program gives you free reign to test out your strengths and weaknesses, giving you more time to determine how you work best. 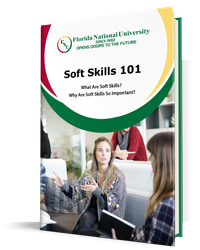 As a globally focused university, Florida National University understands the need to teach more than just the basic principles of business management in order for its student body to remain competitive in the job market. Recognizing the rapid changes of economy, FNU has expanded its breadth to meet the needs of those interested in focusing on health services, public management and leadership within the business realm. Lastly, FNU has designed its program to meet the needs of the working professional, offering a 36-credit program in just 12 months. Our MBA program features hands on training, professors who are active in their field, flexible class schedules, financial aid for those who qualify, and lifetime job placement services, with the option for online enrollment. For more information about enrollment, scholarship opportunities, and degree specializations, contact us today!